Canada Day - FREE Outdoor Concert! 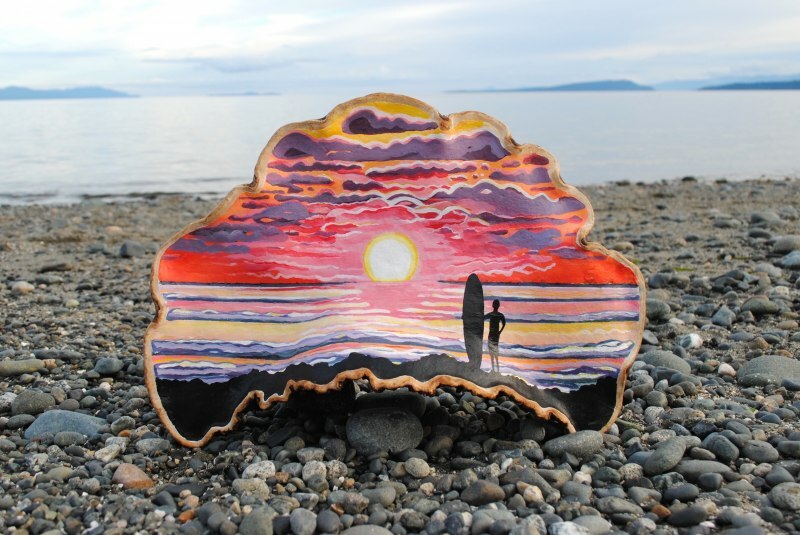 Born in Vancouver, Bruce paints realistic portrayals of West Coast wildlife. Shown across Canada and around the world, his originals can be found in numerous public and private collections. Bruce has been named the B.C. Wildlife Federation Artist of the Year; twice. 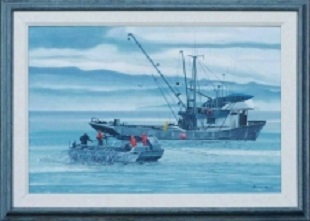 Muir salmon paintings are recognized in this area because his chinook salmon images have been used on Canada’s Sport Fishing License Stamp, several times. Learn the classic art of capturing photographs using a pinhole camera in this 3 day workshop with international award winning photographer Ron Smid. You will learn the basics of light, camera technique and then build your camera, expose and print your Black & White images in the darkroom. 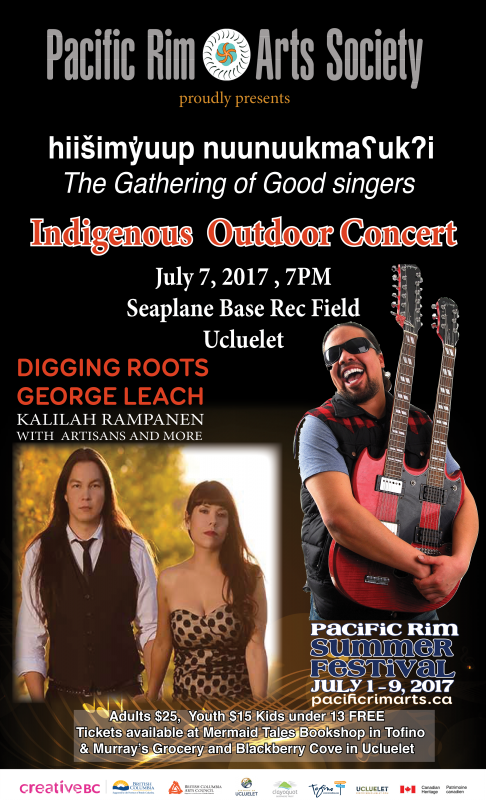 July 7th – DIGGING ROOTS & GEORGE LEACH Plus a whole lot more! 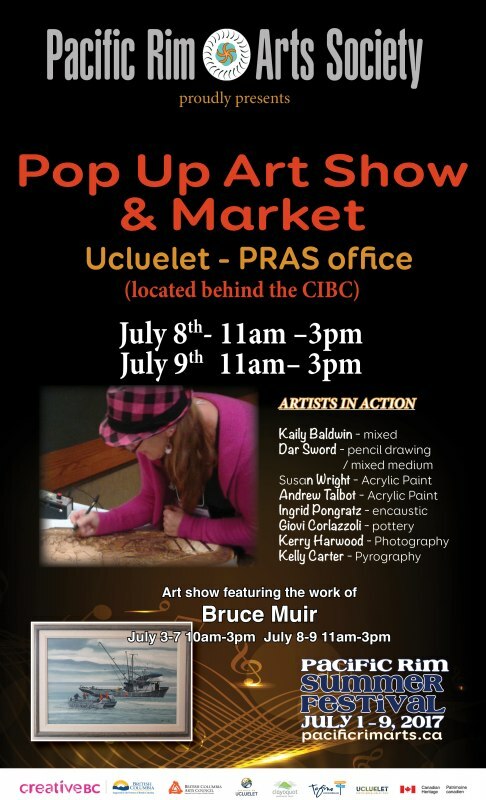 Pacific Rim Art Society Members will be displaying their works for sale as well as demonstrating 'Artist in Action' throughout this 2 day art event. The PRAS office will be open to the Public to view the Collection of Bruce Muir paintings donated to PRAS.